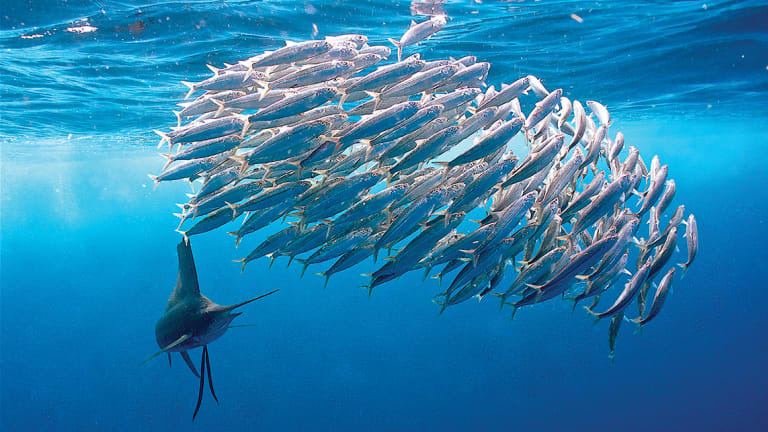 When packs of sailfish are working baitballs off Isla Mujeres, the fishing and underwater photography can be otherworldly. 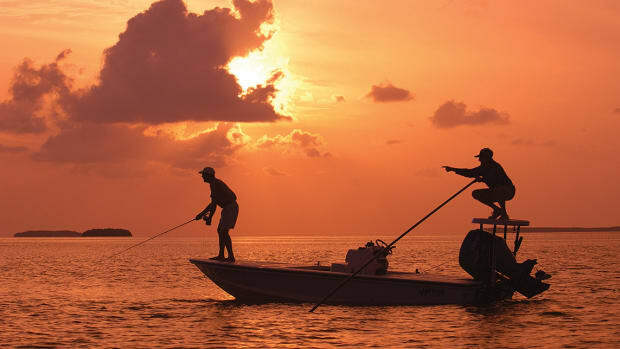 My first visit to Isla Mujeres, Mexico, was in the early 1980s, and although I caught a 60-pound sailfish on a fly rod with a 6-pound tippet, it took me many years to return. Now it’s an annual destination. This tiny island across the bay from Cancun is not only the best place in the world to catch Atlantic sailfish, but it’s also one of the most exciting and enjoyable places I’ve visited. The island is full of Key-West-does-Mexico charm, the hotels and restaurants are inexpensive, you can walk pretty much anywhere, and the people are gratifyingly friendly. 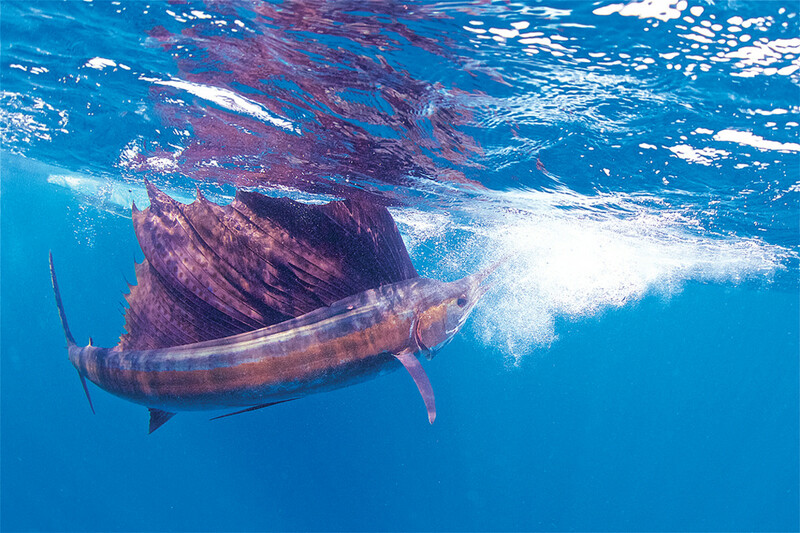 And from December through April its waters attract an amazing number of sailfish. 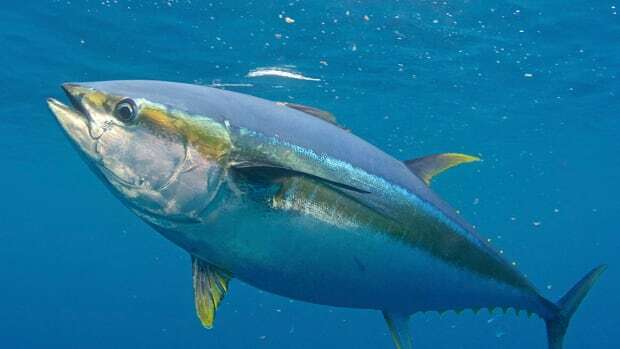 There’s an area about 15 miles north of Isla Mujeres where a combination of currents and upwellings concentrate plankton, which attracts baitfish and, in turn, attracts sails. It’s an area where hundreds of whale sharks and manta rays gather during the summer. And it’s just magic. 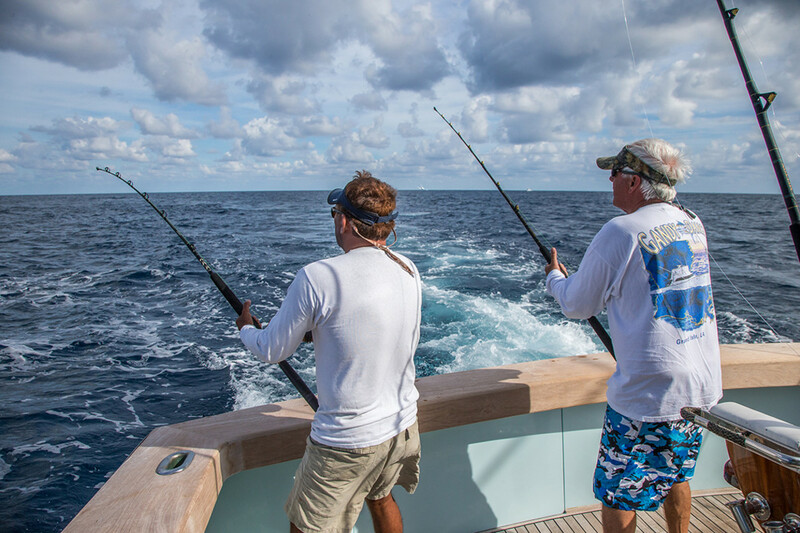 Top-of-the-line sportfishing boats leave Florida in December to target sailfish on light tackle. When everything falls into place, it’s not unusual to release more than 30 sails in a day. Local regulations prohibit American boats from using live bait, but dredges are allowed and are extremely effective. 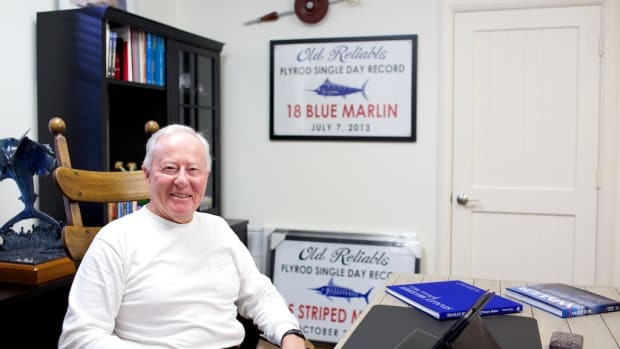 It’s also the best place to catch an Atlantic sailfish on a fly rod. 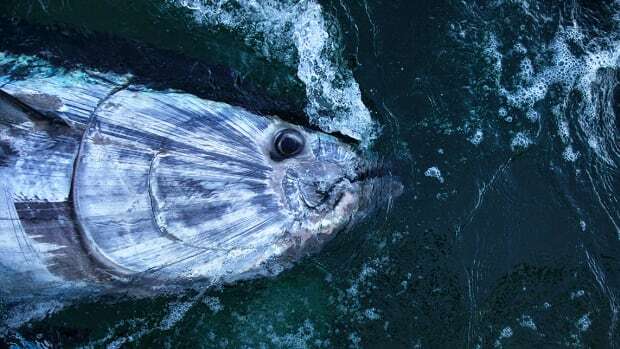 The local administration knows the importance of preserving this fishery, so there’s no casting natural baits, live or dead, at sails, and the fishing is all catch-and-release. 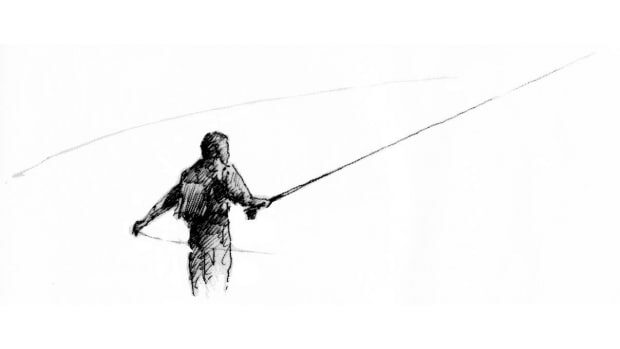 The fishing for sails, all catch-and-release, can be magic. A typical day starts at daylight, and the run to the fishing grounds is relatively quick. As the sun rises, the frigate birds appear high in the sky, searching for bait. At times there is so much forage that the schools black out the sonar. The sails travel in packs, and before long they will target a school of Spanish sardines and push them to the surface. It’s called balling the bait. The sardines pack together tightly in the hope that being on the inside will hide them from whatever’s eating their friends on the outside. The sails circle the baitball, herding the fish to the top. There might be 40 sails on a bunch of bait, but there’s a pecking order and pattern to their feeding. 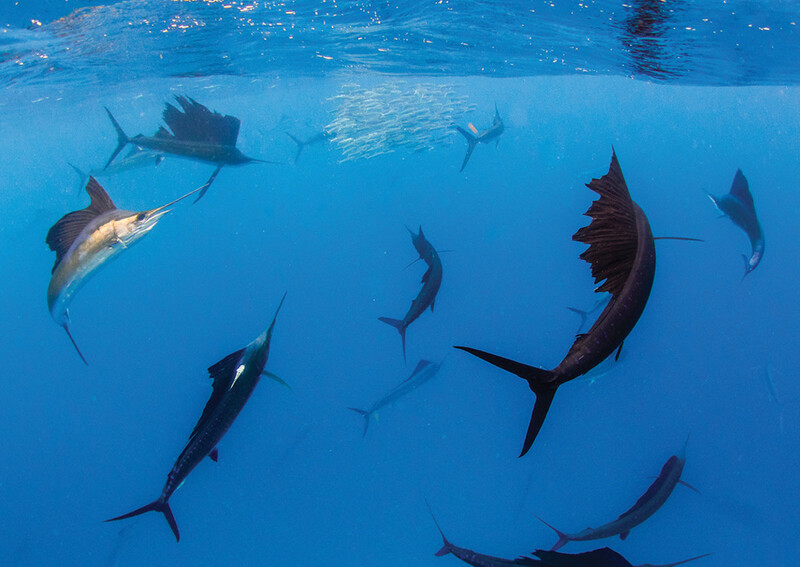 The sailfish stretch out in a pyramid, a few at the top and many more below. Only one or two feed at a time. The two sails “on deck” move in close to the bait, and one will stick a bill into it and whack a sardine, which it will consume. It’s fascinating to watch a sailfish eat a baitfish. It takes the fish horizontally in its mouth and chews on it for five to 10 seconds. I don’t know whether it’s trying to kill it or just soften it, but they don’t swallow the fish until this routine is complete. 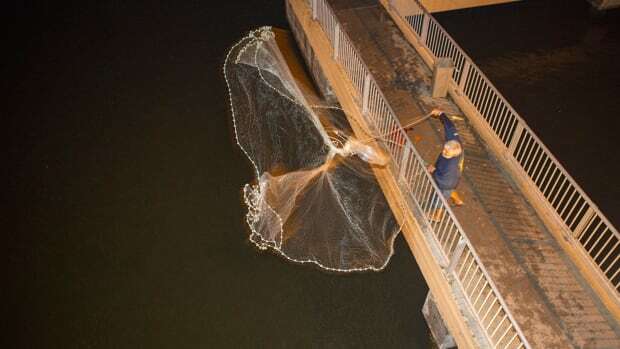 This is exactly why anglers have to drop back on a strike. It’s going to take five to 10 seconds for the hook, at the ballyhoo’s nose, to get into the sail’s mouth. In a perfect world, when you’re fishing in Isla, you’re working baitballs. It doesn’t always happen, but when it does, the experience is remarkable. 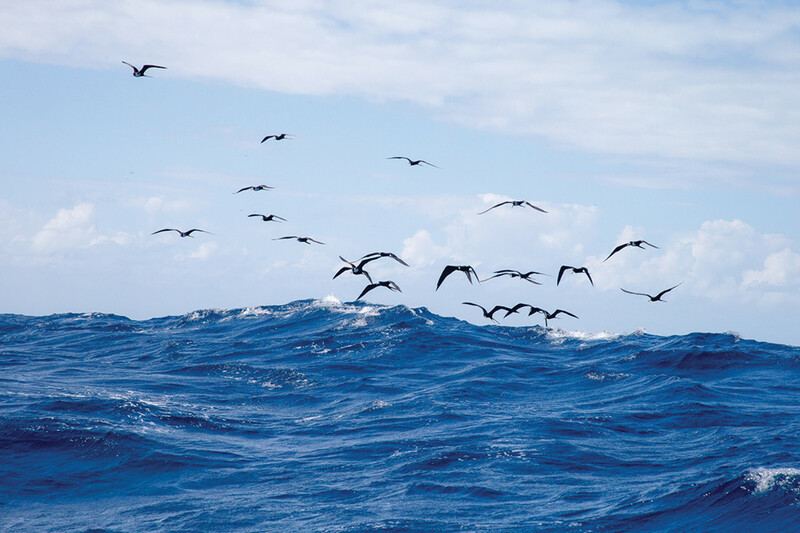 Watching the frigate birds will help you locate the bait. They start high in the sky and gradually converge. My guess is that they can see the bait but need the sails to push them to the surface. I’ve spent my last four trips to Isla Mujeres trying to take underwater photos of sailfish balling bait. We watch for the frigates to pack together and drop to the surface. If they seem to form a V as they hit the water, they are probably on bait being pushed to the top by sailfish. If they are level and moving fast, they’re likely chasing flying fish. Of course, every other boat is also looking for birds and baitballs, so you’ll need patience and a little luck to find one — and keep it to yourself. 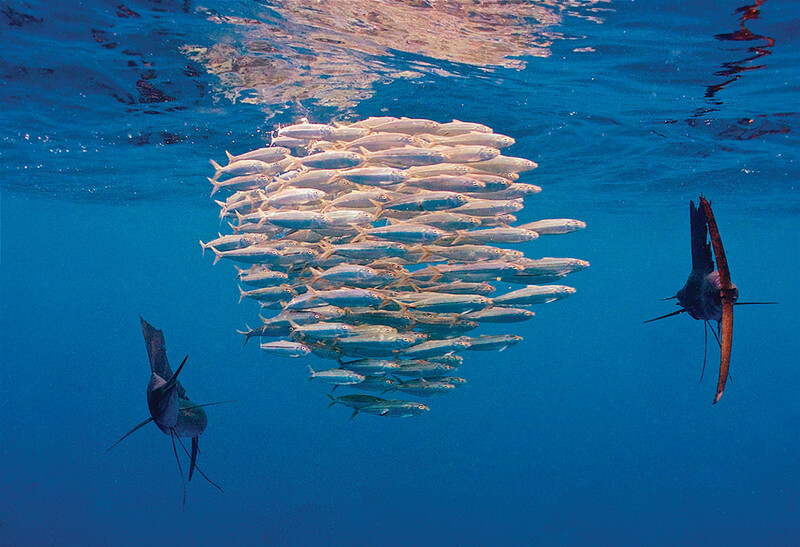 Sailfish travel in packs and appear to have their own unique hierarchy when it comes to feeding on baitballs. Fishing a baitball is by far the best way to catch an Atlantic sail on a fly rod. Those sails will be aggressively feeding, and there often will be a lot of them. Unlike their Pacific cousins, Atlantic sails are difficult to tease to the boat. Even if you can keep an Atlantic sail interested, it will only make one pass at the fly and then drift away. Everything must be timed perfectly. 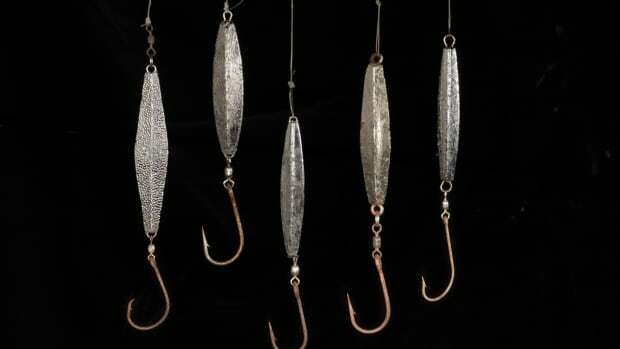 All baits other than the one with the sail behind it need to be out of the water, and the tease bait is jerked into the boat just as the fly is cast. I use a 12-weight fly rod and clear intermediate sinking line. 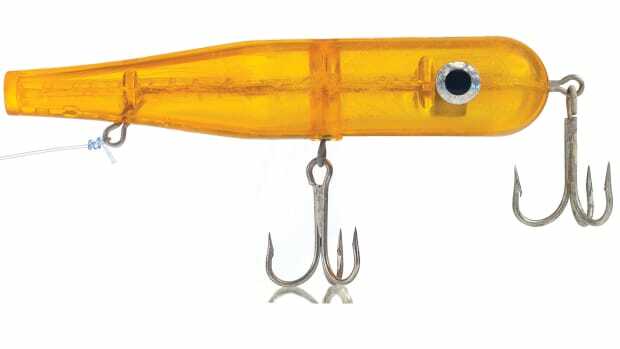 Noted angler Jake Jordan likes to use a 300-400 grain Jim Teeny-style sink tip line — both work. The fly should be a baitfish pattern about 6 to 8 inches long with a big eye and a sharp hook. You have to make a good cast when fishing a baitball because your target is running all over the place. Take my word for it — I’ve tried to chase them with a snorkel and a camera. Aim for the bait, strip the fly twice and let it drift. It’ll look like a stunned sardine, and a sail will swim up and eat it. My friend Capt. R.T. Trosset, a guide based in Key West, caught nine sails in one morning just casting to baitballs. When frigate birds pack together and form a V as they hit the water, it’s a good sign that sails are pushing bait to the surface. On my last trip to Isla Mujeres I fished with Martin Bracamonte aboard Perfect Game, a rebuilt 1973 42-foot Hatteras (cancunboatclub.com). Bracamonte keeps the boat in Cancun, which is only 20 minutes from Isla, so getting picked up isn’t a problem. I recommend staying in Isla Mujeres — it’s a lot less expensive than Cancun, and it’s more laid-back. No matter where you stay, you’ll be fishing the same area. Martin picked us up at the airport after an early flight from Miami, and we were on the water around 10 a.m. We spotted birds working right off the bat, and we were lucky to find a baitball that was out of sight of other boats. I was with Billy Catoggio, who was filming for his ScubaNation television show. We really wanted to swim and photograph sails corralling bait, so fishing was initially put on the back burner. We couldn’t see much from the boat, only some frantic birds and a few fins breaking here and there. When we got into the water, I couldn’t believe how many sailfish there were; close to 40 were pursuing the bait. The photos tell the story better than I can. It’s one of the most exciting experiences I’ve ever had under or on the water. Watching these beautiful creatures methodically feed is fascinating. We found one other baitball that day. They can appear and disappear within minutes, and there’s no pattern to when they can be expected. Just follow the birds. You may not see a frigate anywhere, but then a few will appear, then more. When they start diving, you’re in business. Just remember to be the first boat to reach the chaos. If the sailfishing slows, you can bottom-fish for yelloweye snapper and other critters that inhabit the deeper water. Isla also has a good wahoo population that’s hardly ever mentioned. See a gallery of more photographs by Pat Ford here. Competitive, curious and obsessive-compulsive, Nick Smith has laser focus once he sets his mind on something. The first time I ever paid to go fishing was when I took a trip to Iceland in 1980. 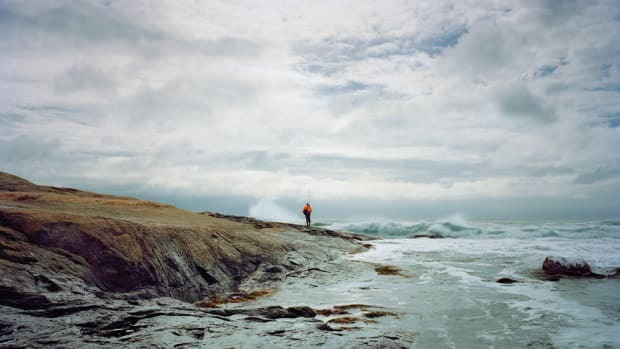 I had never fished for Atlantic salmon and was looking for some romance, as well as for a new experience in a new land.